MANHATTAN — A Bronx man was arrested Wednesday for the brutal killing of East Harlem student and Italian native Rita Morelli, police said. Bakary Camara, 41, of The Bronx, was charged with second degree murder in the death of the "hardworking" and "sweet" 36-year-old woman, who had just started her studies at Borough of Manhattan Community College and waited tables at an Upper East Side restaurant. Sources said that the suspect and the victim knew each other, but the relationship was not immediately clear. Police Commissioner Raymond Kelly said Thursday that Camara called police and made incriminating remarks, and that cops found the Gambian immigrant at his Bronx apartment holding a knife to his chest with a confession letter on him. Kelly also confirmed that the two had a previous relationship. 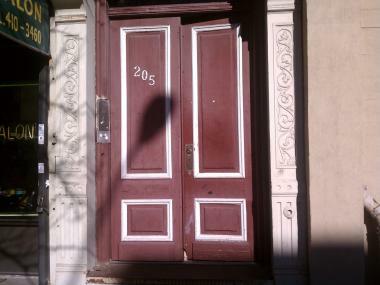 The building at 205 E. 120th St., where a 36-year-old woman was found dead on Wednesday, Nov. 23. The motive for the killing remained unclear, police sources said. Morelli — who was found repeatedly stabbed and choked to death in the East 120th Street apartment she shared with her boyfriend last Wednesday night — had just begun her studies at BMCC and was registered as an international student at the downtown school, contrary to initial reports that she attended Hunter College. "On behalf of the college, we're very saddened by the news of her death. We admire somebody who has taken on the time and effort to try to get an education for themselves," said Barry Rosen, a spokesman at BMCC, who confirmed her registration Wednesday. "It's a tragedy for her, for the school and for the City of New York." Morelli, who moved the U.S. five years ago, according to the Italian newspaper Il Centro, hadn't yet declared a major at the school, but was enrolled in a range of introductory classes, including English 101, a social science class, Psychology 101 and math. 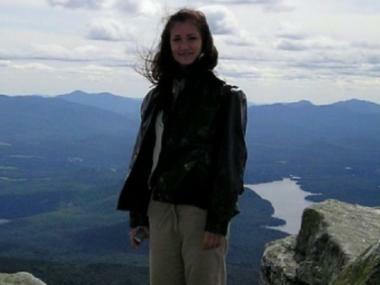 She'd been planning to continue at the school in the spring semester, and hoped to take English 201, another social science class, "Fundamentals of Speech," and an art class in painting. "She clearly was just getting her feet wet," Rosen said, adding that "It was a testament to her life that she wanted to get her education now at this time in her life." In addition to taking a full course load, Morelli had also been working as a waitress Caffe Buon Gusto, an Upper East Side Italian restaurant on 77th St., where coworkers and customers described her as "hardworking," "sweet," and "smiling all the time." "She said she didn't have any time for a boyfriend or a social life," coworker Alvaro Yunda said. "She was working, school, home." Neighbors said they saw Morelli standing on the stoop of her building with a man that wasn't her boyfriend ahead of her death, but that she looked calm. Her boyfriend, who works as a cook at the same restaurant as she did, reportedly found her repeatedly stabbed in the neck and torso at 10:15 p.m.